One of the oldest economic theories in existence is “quality vs quantity”. The comic definition of “quality over quantity” is that there is more value in buying a single higher grade comic book than buying a large amount of inferior comics. In the beginning of many comic book investors’ lives, they have tremendous purchasing power. Purchasing power is the financial ability to buy comic books due to the investor not already being heavily invested in any comic books, the subsequent need to sell those books, nor the backlog should those books not sell. At this point, the purchasing power of the investor is at an all-time high. In the comic book collecting world, this is a mistake that can be considered one of the biggest that people starting off can make – I even made this mistake. When you join a group or website for comic collecting and investing (such as this one), it is easy to get caught up in owning every comic that is mentioned. The savvy investor will take note of comics that are gaining interest and old keys that are valuable. However, this can lead to an investor buying any comic they see in the wild or at a convention regardless of grade simply because it is on a “hot” list and they think it is important. This is where one of the major pitfalls in collecting begins to surface. As an investor, it's easy to think “I got most of this list knocked down and turning around these books will be no problem.” Then when you start to list books for sale, they gather no interest and you are left out of making money on these books. Then the realization of “why did these books not sell” hits. The reason is that low grade books were bought and are not turning around enough for any type of decent money. In the worst case scenario, the investor could be stuck with books that potentially will never sell or will take a loss. I understand that not everyone has the purchasing power to buy $100 – $200 books. But if you can hold off from buying cheaper books and stow away some money, buying a nice $100 book has more upside than buying ten $10 lower grade books that were grabbed simply because they are on a key book list. When I first joined the group in November of last year, I saw much movement on this book and many of these being sold. Now, it seems like this book is a slow mover when it comes to selling. Based on my current Ebay check, there are only 20 listings of this book right now. A mild drop off has occurred in the marketplace but this could be warming back up again with an appearance of Zatanna on Arrow in Season 4. Another contributing factor may be that raw books are not easy to obtain, with raw copies going for the $300-$400 range. From a grading perspective, in the last two years there have only been 56 sales records. As you can see, the 9.4 sales were back in 2013 and that average price has been eclipsed by 9.2 and 9.0 books sold recently. If you bought this book early on, this might be a hold for only a short term if we see Zatanna on the TV show or in a possible movie. If you are interested in buying this comic book, it may not be worth getting into since there is a limited growth potential as of right now. Daredevil 168 is an important issue due to this being the 1st appearance of Elektra. Six months ago, this was one of the easiest finds for under $100 in a VF condition. Right now, the last one to sell on eBay went for $160. The major reason this has gone up in value has to be the success of the Netflix series “Daredevil”. On July 2015, it was announced that Elektra was cast for season 2. In the prior 24 month period, 272 graded books were sold – with the “heat” caused by the Netflix series, there has been an uptick in movement with 106 graded comics being sold in the last 6 months. This would be one of the quality over quantity books that I would obtain. I would spend the extra money and try to get the nicest copy I can find. For $200, a 9.8 raw could be turned around for at least $900.00. In the last 6 months, there pretty much has been a $50 jump across the board on graded books. This comic will only increase in value when Elektra makes her Netflix debut, assuming it is done right by Netflix. With Olivia Munn as Psylocke coming to the big screen, this book is bound to jump in price. Raws can be found on Ebay for $100 in VF-NM condition – now that might be a little more than I would like to invest in. If possible, I would try to find it for around $10 cheaper. Additionally, the drop off from 9.8 to 9.6 is pretty massive. As of right now, 9.8 CGC graded books are going for $600 on eBay and 9.6 graded books are only going for $220. As you can see from the graph below, sales have been erratic in the nine grade ranges. To buy into this as an investor, this book will have to be in pristine condition. I would take a hard look – any kind of spine tick I would turn away. This could be the one book that makes or breaks you depending on what grading service you choose to go with. I would suggest going CGC if you have any doubts. Otherwise, and only if you are 100% sure, I would go with CBCS. Thanks for taking a look. If you would like to see any other books profiled, please let me know in the comments section. love this article…..I am a numbers guys! Great info Deno. Like the addition of more graphs. Excellent write up Deno. Looks like you put some time and effort into it and it’s truly appriciated! Excellent job my friend, well written and pertinent info! Good info, is a good time to be hoardingn hawkamn 4s IMO. Theres a link with a code on the main page of thia site, CBSI will hook you up with a 30 day trial, take advantage of it and check it out! Great article. What are your thoughts on Ms.Marvel 17 2nd prtg, and We can never go home #1 1:10 variant? For WCNGH – I personally stay away from the variants. For every one of these types, there are 100’s out there that flop but I think if the run does well with the fan base. This could rise up in value not on par with Edge of Spider-verse #2 Land variant but i could maybe see it creeping up around $200 -$250 at its peak. Hope this helps. Thanks for the questions. 2nd Most Expensive: Daredevil would cost $160 to buy raw + 65 for grading costs = $225. 6, 62, 67 and 43 annual sales. Divide 365 by these numbers and you will see on average one of these books sells every 60, 6, 6 and 9 days. The higher the cost of the graded comic the smaller the number of potential buyers as the amount of collectors willing to pay over $2k for a comic book is very limited resulting in a much longer expected selling time. The faster turnaround time of cheaper comics allows you to reinvest earnings at a quicker rate significantly increasing total return. 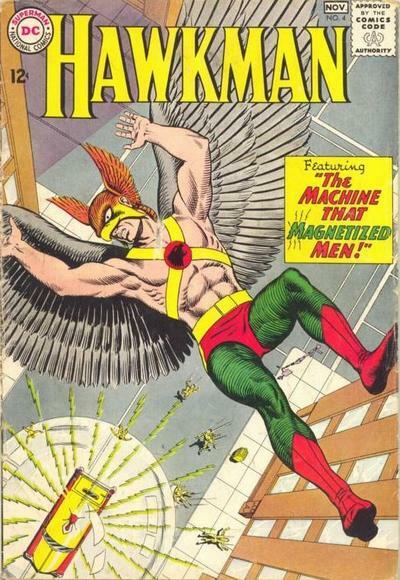 You can purchase 5.66 Omega Men 3 like quality books for every 1 Hawkman 4 or similar quality book. This allows for greater diversification allowing you to remain profitable even when some of your picks bomb. In the Omega Men 3 example two of every three $75 raw costs books can remain unsold and you will still generate a profit to reinvest. Conversely, putting all of your eggs in the Hawkman 4 basket could result in a major loss. Owners of high priced raw comics are generally more sophisticated and able to determine the market value of their books. It is unlikely you will purchase comics of this type for significantly lower than market value. Sellers of $40-$60 raw comics have a much wider range of sophistication and knowledge and regularly misprice their comics allowing you to increase your profit. Key books with values less than $75 provide greater diversification (less risk), increase compound profits and provide greater opportunities to purchase raw comics at below market value. These books also have the potential to see significant price increases unlike already high value comics whose max value is likely capped near current levels.